If you’re already in prison for your faith, and facing a possible death penalty, Petr Jasek says you can be even more bold about sharing Jesus. After all…how much worse could your situation get, from an earthly perspective? 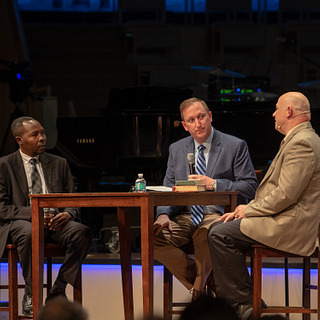 Jasek and Pastor Hassan Abduraheem Taour were cell mates in a Sudanese prison, on trial together for alleged espionage against the nation of Sudan, and this week they are together on VOM Radio in a special episode recorded at a VOM Advance Conference. Listen to how they found JOY even as they were physically suffering and were separated from families and loved ones. Listen as Petr shares how he could physically feel the prayers of people around the world while he was in prison. Both men will share how God had specifically prepared them to face persecution and imprisonment. 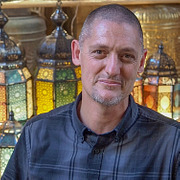 Petr will also talk about how God brought back to his mind the words of songs he had learned as a child, and about the invisible “prayer map” on the walls of his prison cell. Both Petr and Hassan will share what it meant to them for Sudanese Christians to gather outside the courtroom and boldly sing hymns of praise to God as the men were taken to and from their court hearings. Finally, you’ll be equipped to pray specifically for Christians in prison right now for their faith in Christ, as well as for their family members waiting, hoping and praying for their incarcerated loved ones. You can hear the VOM Radio interview with Petr Jasek, recorded just eight days after he was released from prison in Sudan, here: Part 1, Part 2, and Part 3. Our interview with Pastor Hassan is here: Part 1 and Part 2.